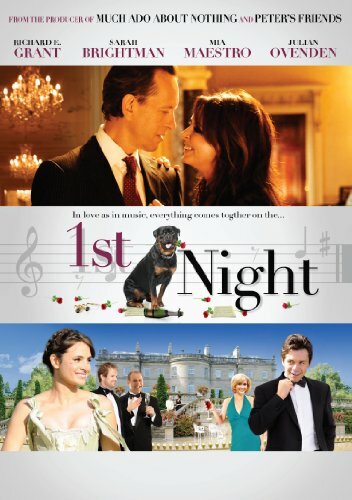 Adam (Richard E. Grant) is a rich industrialist, who aspires to a more cultured world. Spurred on by playful jibes that he is little more than a city suit living the capitalist's dream, this frustrated amateur opera singer decides to throw an opera in his lavish country retreat. Once his friends see him belting out the notes, he feels sure it will spell the end to their shallow taunts. In fact, it might even help him win the hand of Celia (Sarah Brightman), the female conductor he has been pursuing whom - it just so happens - is the first to be recruited for his showpiece. For the rest of the cast and the production, Adam brings in the experts and enlists the aid of a troupe of promising young singers - led by beauty Nicoletta (Mia Maestro) and upstart Tom (Julian Ovenden) - with enough collective sexual tension to light up the stage. His choice of opera? Mozart's Cosi Fan Tutte, the master composer's fabled romp through the bittersweet territory of sexual infidelity. As this motley group flexes their melodic and melodramatic muscles during rehearsals leading up to the opening night performance, it won't be long before life imitates art as relationships flourish and flounder. If you have any questions about this product by Gravitas, contact us by completing and submitting the form below. If you are looking for a specif part number, please include it with your message.